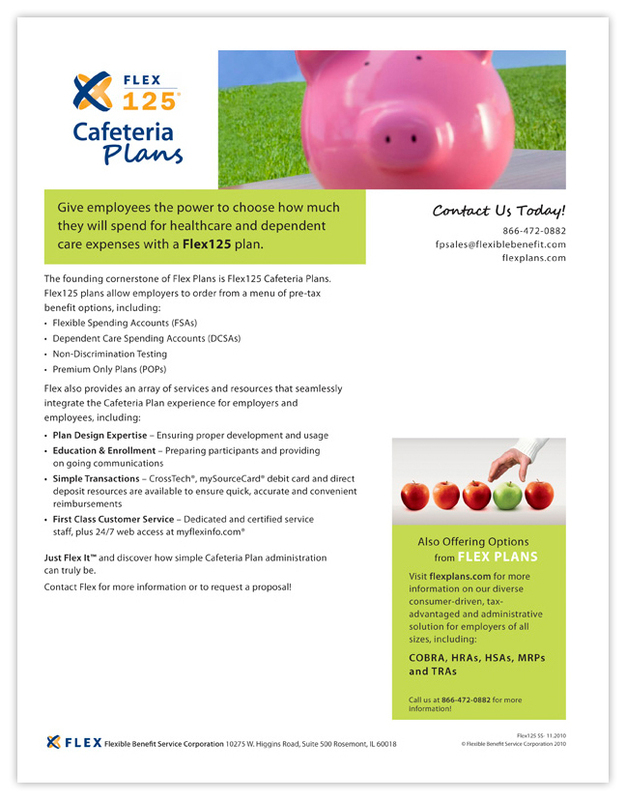 Designed a series of sell sheets for Flex to promote their various health insurance services. 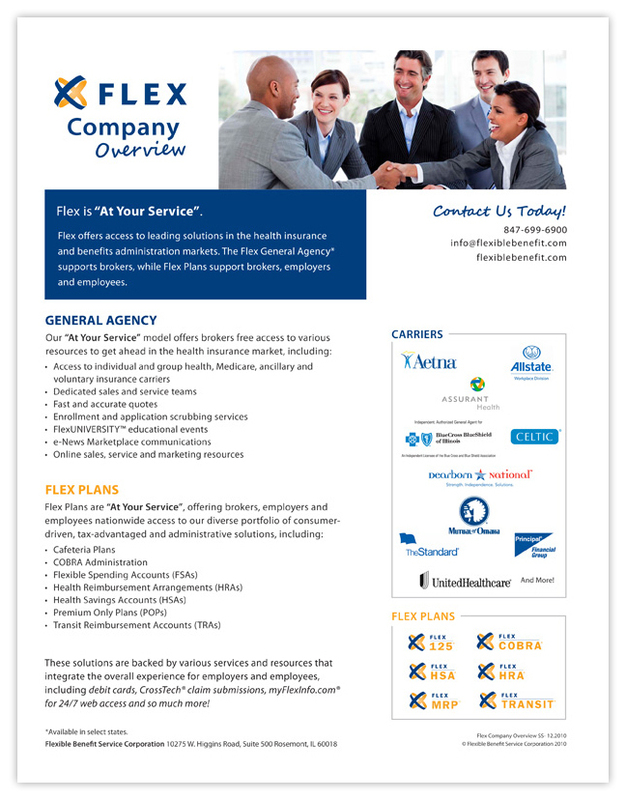 The design concept was to simply present Flex's complex and detailed health insurance information. The use of white space along with positioning each set of services within their own category color - blue, orange, green and red, helped simplify and organize the sell sheets. Blue and orange were used to emphasize Flex's brand colors. All sell sheets have the same basic style, so they work nicely in proposals and educational binders. Each sell sheet is 8.5 x 11" in size and one sided.